Watch the six-minute announcement trailer. 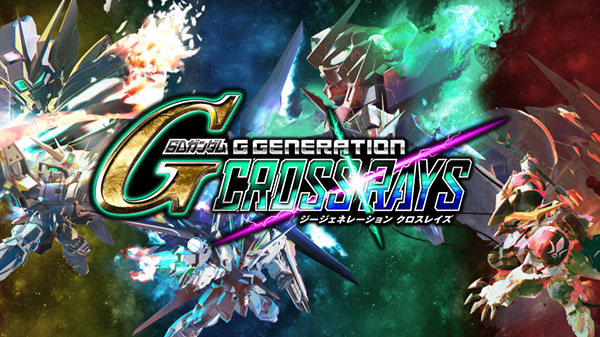 The newly announced SD Gundam G Generation Cross Rays will be released for PlayStation 4, Switch, and PC (Steam) in 2019 in Japan and Southeast Asia (Singapore, Malaysia, Thailand, the Philippines, and Indonesia) with English text, Bandai Namco announced. The G Generation series saw its 20th anniversary in 2018. The latest work, SD Gundam G Generation Cross Rays, features characters and Mobile Suits from the Mobile Suit Gundam Wing, Mobile Suit Gundam SEED, Mobile Suit Gundam 00, and Mobile Suit Gundam Iron-Blooded Orphans series. The game is slated for release in 2019 for PlayStation 4, Nintendo Switch, and Steam in Southeast Asia (Singapore, Malaysia, Thailand, the Philippines, and Indonesia). More information will be announced at Taipei Game Show 2019 from January 25 to 27. A live stream will be held on January 27 from 12:00 to 12:45 JST, which will be available on YouTube. Watch the announcement trailer below. Visit the official Japanese website here.